The Donald J. Trump campaign released the powerful ad “Choice” today. The ad is playing in several states. 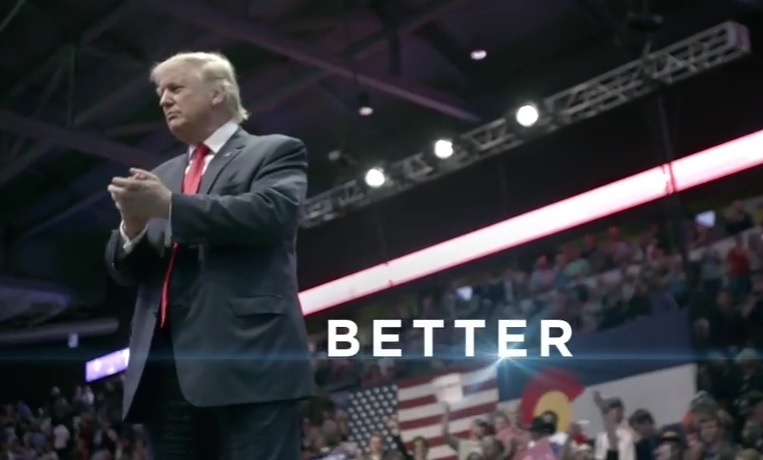 Today Donald J. Trump for President released a new television ad entitled “Choice,” which outlines the clear choice voters have on Election Day between Hillary Clinton’s future of stagnation, and Donald Trump’s vision for a better, stronger, and more prosperous America. This ad serves as Mr. Trump’s closing argument to the American people, and will air in major markets across the country. This ad gave me chills. I watched it a second time and it still gave me chills!